Works with all Skylink Emergency Dialers and Monitoring Stations! 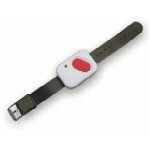 Ideal protection for seniors or disabled individuals. 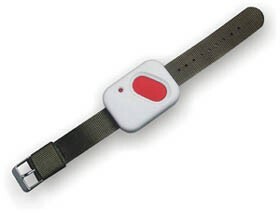 Press the "red panic button" to activate emergency phone dialers or monitoring stations to call for help instantly. Oversized button! Water and shock resistant! Great for those who dislike wearing pendants around their necks (as many elderly do.) Maximum distance of approximately 100 ft.
FCDC/IC approved. One year warranty. 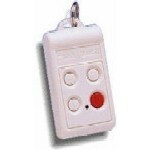 Keychain remote with panic button for the Skylink Security Panel or the Skylink Emergency Dialer. Three additional buttons for "speed dial" access to emergency numbers.